With 5 Super Bowl rings to his name, Tom Brady is one of the most successful and iconic football players in NFL history. Whether or not you’re a fan of his team, you’ve got to admit that he has been one of the most enduring and high-profile athletes of his generation – and he just turned 40. In honor of Tom Brady’s 40th birthday, ESPN published a fun-to-read article with lots of behind the scenes stories and quotes from Tom Brady’s teammates, friends and family, on what he is like as a person and as a leader, and what they’ve learned from being around him. Of course, success on the football field is a different sort of endeavor than success in business – but there are some common business leadership lessons that anyone can look to if you want to emulate Tom Brady’s success. Tom Brady is relentlessly, aggressively, borderline-insanely competitive. The ESPN article describes how he is reluctant to let backup quarterbacks take his reps in practice, because everyone in the league is so good and he never wants to lose his edge. Patriots head coach Bill Belichick described how Brady’s competitiveness was exemplified by a time when he was playing golf at Pebble Beach (a notoriously tough golf course) and he had to be held by the back by his caddy to keep from falling 300 feet into the ocean while playing a shot that had rolled onto a cliff’s edge. Brady is even competitive while playing board games with teammates on a flight – to the point that he got mad while losing and threw the board game across the room. Does this sound like Brady is a selfish sore loser? Well, his critics might say so – but people who are close to Tom Brady make it clear that he uses his competitive fire to be a better teammate and make people around him even better at their jobs. He sees himself as a team leader, not a solo superstar. 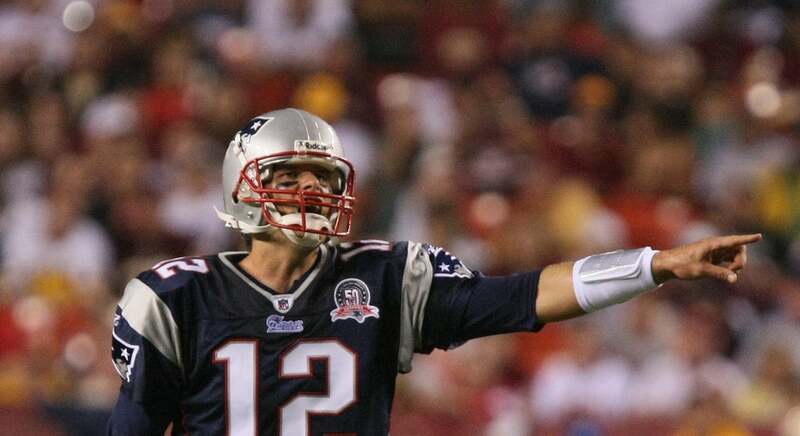 Tom Brady was almost never picked in the NFL draft – he was drafted in the 6th round at #199. He was underrated and overlooked by almost all of the football “experts.” While playing college football at Michigan, Brady sat on the bench behind a quarterback named Drew Henson who was arguably less talented than Brady. One time Brady was playing pickup basketball and the other team had a guy who was teasing him about Drew Henson. So Brady set a hard pick that knocked the player out of the game. Brady has also spoken repeatedly about how being overlooked by the rest of the NFL made him want to beat them even more. Of course, it’s possible to go too far into a sense of destructive vindictiveness. But Tom Brady has used his sense of being overlooked and ignored to his advantage. Is there anyone in your life who you want to prove wrong? Did you get passed over for a business loan, not get hired by a certain company, or otherwise feel slighted by someone along the way? Why not use those feelings to your advantage by showing how successful you can be! People who work and play with Tom Brady have been quoted as saying that he’s an even better person than he is a football player. He’s taken the time to visit his coach Charlie Weis’s family in the hospital, spending the whole weekend there while Weis was getting bypass surgery. When his coach Josh McDaniel got a new job as head coach of the Denver Broncos, Brady sent a heartfelt message to the family that he’d be rooting for the Broncos in every game except the ones where they played the Patriots. Patriots players – even the backup quarterbacks – say that Tom Brady is an amazing teammate who has helped them get better at their jobs and achieve big things as a team. Even though he’s an intense competitor, he takes care of his team first. Business leadership and success has some similarities with football success – it’s all about teamwork, helping the people around you get better at what they do, building relationships, and setting big goals. Even if you never win a Super Bowl, you can find inspiration and clarity from the example of Tom Brady.